Serving: Palm Desert, Rancho Mirage, Indio, La Quinta, Indian Wells, Palm Springs, Bermuda Dunes. Call us to select the time you’d like our professionals to show up. Our professional installers come over your home or business to listed and understand your needs. You can enjoy and relax knowing that our crew is taking care of your project. you will feel you have a new patio. 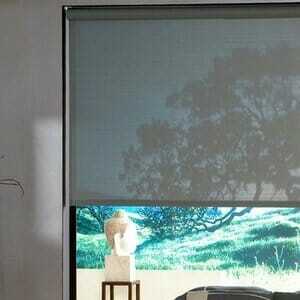 Ideal for Apartments, Parks and Private Spaces. We deliver the best works in a short time to ensure you enjoy great times with your loved ones. Weather the job is Residential, Commercial or Industrial we have the best Crew to ensure that the project meet your expectations. Our company is capable to handle your projects and we are ready to give peace of mind once the job has started. Take advantage of C & S Patio Covers ’s many commercial and residential awning services. Taking your specific requirements into consideration, we will design unique custom patio awnings to fit your needs. We can customize everything from fabric to frame construction choices. When you work with C & S Patio Covers , we can design a truly unique awning to enhance your business presence, by getting your name out there in a distinctive way. If it’s for your home, maybe you need to expand your exterior summer space, or perhaps you want shade at the entrance to your kitchen or hallway. Whatever the case may be, we can design and create patio coverings perfect for your need. A simple on-site visit will ensure that we are familiar with your specific situation, including sizing and any particular awning installation details. This will allow us to present you with an accurate estimate before any work begins. Contact C & S Patio Covers in Indio, CA today to get started on your patio covers installation or repairs. 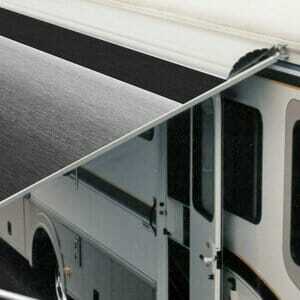 We are happy to assist you with all of your needs for custom awnings. Average turnaround time to install is 5 to 8 days. Member of HERO PROGRAM (home improvement financing thru home equity). Quick and fast! Very happy with Christian and Sergio’s job. Did a amazing job with our patio and installed our fan also did some lights as well! Only took them about two days to do it all. Highly recommended! Thanks again! This company was a pleasure to work with, both Christian and Sergio went all the way to make sure we were satisfied with our project. We did a huge patio cover near our pool and it required us to get HOA approval and a city permit. C&S had the patients to come give me a quote and provide plans that the HOA required, than they waited patiently for 2 months for my HOA to approve them. After that they worked with the city to get everything approved. I would have pulled my hair out with all the back and forth but I had no worries because C&S took care all the changes that needed to be done for the permit. I’m glad I went with them and took their recommendations for the plans because I now have a beautiful patio to enjoy pool side even when its 115 degrees out! I am very happy with my new patio that Chris’s team built for my home. I got competitor rates and his was by far the most reasonable price for the job. Chris is very profesional and punctual when he says he’ll be there he makes sure to be there. I remember calling him on my way to work and we set an appointment for the following week to do measurements for the quote he would give me. I mean I had the quote that same night. I was like wow he means business. We were going out of town so we informed Chris that it wouldn’t happen until the following week after we return and he was very polite and asked I’d let him know when he could come back to discuss financing options which I was so thankful for. He has a program called HERO and they assisted us with the financing so we didn’t pay anything up front. When we met the application was very easy, took less than 10 minutes. We picked the colors, design and the date for the job. It was from one day to another the patio was up. They left my home clean and I didn’t have any problems with his guys. They were all very professional and silly as they were working my neighbor said she heard them singing along to music but they never stopped working !! I am so happy I called him to install this patio, i am in love with it! They did a fantastic job. Thank you Chris for giving us a good deal and for the great work. Highly recommended for any future jobs we might have. Tell us what is a good date and time to meet and talk about your new project. We will be glad to assist. Referrals on request.